You've got friends coming round to watch a movie, or you need your family to watch this one really great YouTube video. Maybe you've just got a slideshow of photos to show off. Whatever the reason you'd rather put your computer's screen on the TV than have everyone huddle around your laptop. Here are seven solutions to getting your computer's screen on the TV with minimal fuss (and cash). A quick note, most of these solutions will require either an additional app on your TV or additional hardware, ranging from a set-top box to a dongle, to something as simple as an HDMI cable. Dive into Chrome's menu (click the three dots to the top right), then choose Cast. Pick your Chromecast from the list, and you should see your current browser tab show up on screen. 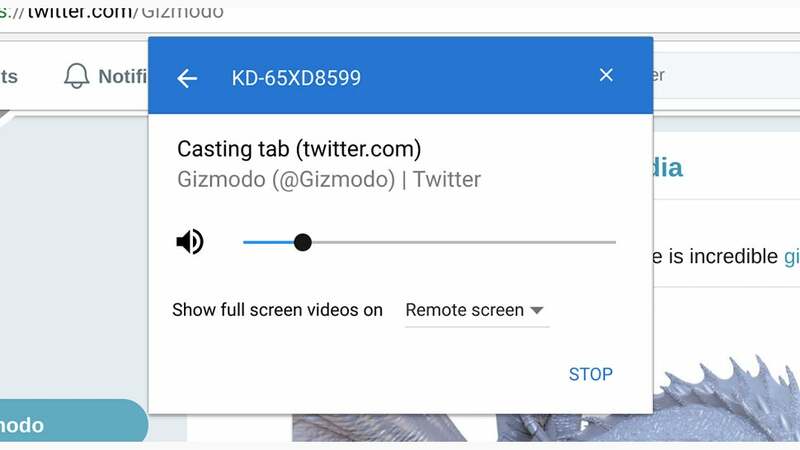 You can switch to other browser tabs (and apps), but the Chromecast will continue to show the tab that you first cast from. Because of the lag involved, this is better for websites and photos rather than videos, although some video sites (including YouTube) can interface with the Chromecast directly. In fact, if you go to YouTube you'll see a Chromecast button on each video — this works just like casting something from your phone (so the video is pulled direct from the web, not from your laptop). You don't get a whole lot in terms of customisation options — just a volume slider — but it's simple and works well. When it's time to end the cast, click the Cast option in the menu list again, and then Stop. The Chromecast isn't the only smart dongle that can get your computer screen up on your TV — Roku sticks and boxes can do it too, though it's more easily done with a Windows computer than a Mac. Everything is handled by a protocol called Miracast that comes built into the newest Roku devices and Windows 10. 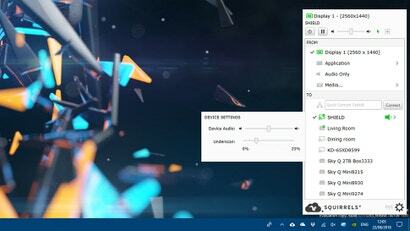 In Windows, open the Action Center by clicking on the notification icon on the right of the taskbar, then choose Connect. If your Roku is powered up and on the same Wi-Fi network, you should see it appear on the list — click the device name to start mirroring. You'll need to approve the request on your Roku device (you can also opt to approve all future requests from the same device). To manage your approved and blocked devices, choose Settings from the main menu, then System and Screen mirroring. We haven't tested Mac-to-Roku mirroring ourselves, but you need a third-party fix to get it working: Take a look at AirBeamTV for Mac, which seems to be the best of the options out there, albeit with a few lag problems. It'll set you back $14, but a free trial is offered. If your computer runs macOS, and you have an AirPlay device — like an Apple TV — plugged into your television set, then getting your Mac's display up on the big screen couldn't be easier. It's probably the simplest solution for all-Apple hardware setups. Assuming you've got your AirPlay device connected and configured, and it's connected to the same Wi-Fi network as your Mac, it should appear automatically when you click the AirPlay button (the arrow pointing into the box) in the menu bar. Choose your AirPlay device, and the screen automatically extends to include the TV. If you don't see the icon, or to configure the feature further, click the Apple menu, then System Preferences, then Displays. 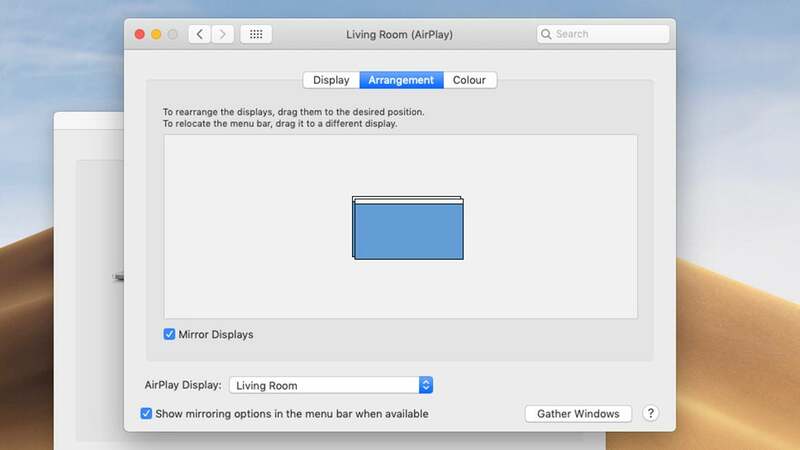 You can opt to mirror your Mac screen on the TV, or use it as a second extended desktop (in which case you can use the Arrangement tab to position your screens). Tick the Show mirroring options box if you want to keep an AirPlay icon in the menu bar. The mirroring is speedy enough to, for example, play YouTube videos — but the AirPlay button also appears in certain media apps, like QuickTime and iTunes, so you can broadcast videos directly from there. When you're finished, click the AirPlay button on the menu bar again, then Turn AirPlay Off. Plex doesn't actually mirror your computer screen on your TV, but it can get pretty much any kind of media from one place to another — videos, music, and photos. Anything like this on your computer can be streamed to your big TV screen. One of the benefits of Plex is that it has apps for so many streaming boxes and dongles, everything from the Apple TV to Android TV. If you've got a smart stick or box that plugs into your television set, chances are there's an official Plex app for it. First you need to set up the Plex server program on your Windows or Mac machine, which will catalogue all the media on your local hard drive and get it ready for streaming. The app running on whatever device is connected to your TV then connects to your computer over your home Wi-Fi network and streams whatever you want to see (or listen to). 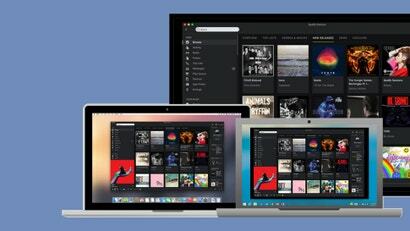 You can pay for a premium Plex subscription which gives you access to more features — like the option to stream content to mobile devices and to devices outside your home — but you don't need to pay anything to stream from a computer running Plex to another device on the same Wi-Fi network. In some ways AirParrot duplicates methods we've already talked about — it needs an Apple TV or a Chromecast plugged into your TV to work, for example — but it's slick, packed with features, and offers a few extras that you don't get with the standard Google Cast and AirPlay protocols. It also works with Windows and macOS, and can be yours for $US13 ($18) — there is a free trial available, so you don't have to part with your money straight away without checking that it actually works on your system. 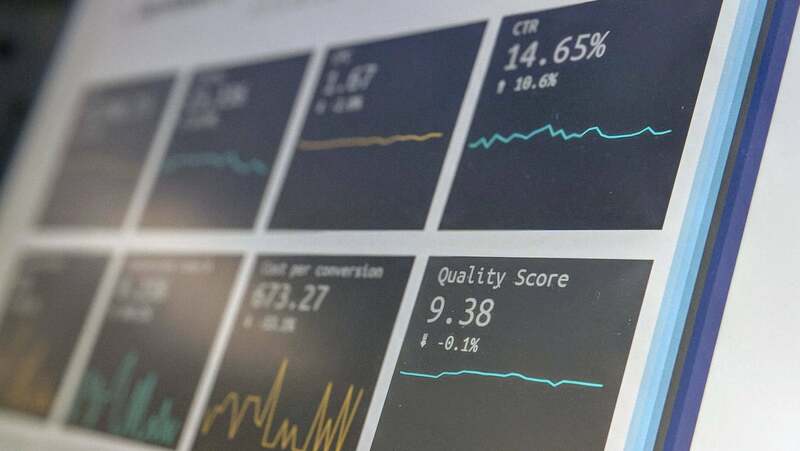 Once you've got the software installed on your computer, it can detect compatible receivers on your local network, giving you the option of mirroring the screen of your laptop or desktop on the TV. 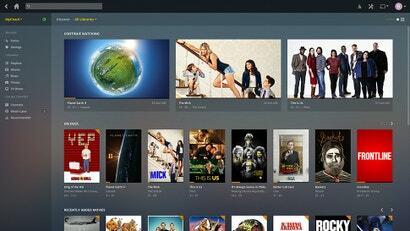 You can also stream music, videos, and photos directly, Plex style, if you don't want to mirror the whole screen. Why might you want to use AirParrot rather than the native Google Cast or AirPlay options? Well, it can stream to multiple devices at once, for a start; it supports better quality streaming (including 5.1 surround sound); and it lets you hook up devices that would otherwise be incompatible (like an Apple TV and a Windows PC). 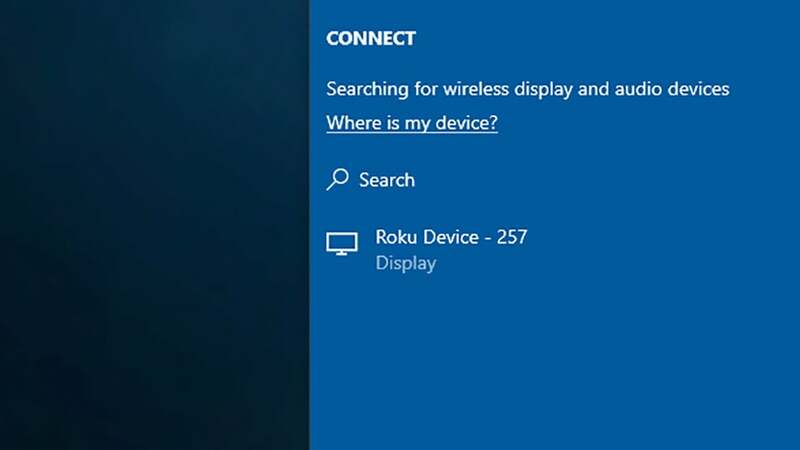 We've already spoken about how you can connect Windows 10 computers to Roku sticks and boxes, using a standard called Miracast. That standard turns up in a variety of other devices too, including the Amazon Fire TV — though support on Fire TV devices is patchy and non-existent on the most recent models. 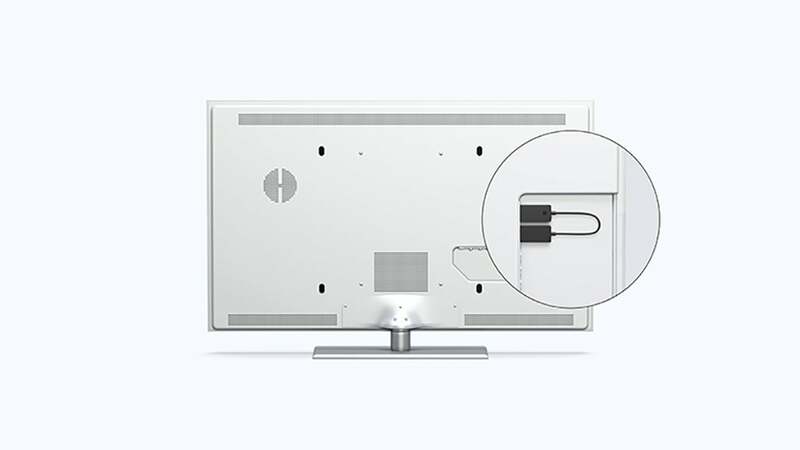 If you don't have any other available options for a Windows 10 wireless connection, you might want to consider buying a dedicated Miracast dongle. Microsoft will sell you one for $US50 ($69), though you'll find cheaper options elsewhere (just check the user reviews carefully before buying). A Miracast adaptor like this will also let you mirror screens from Android devices, so that's an extra bonus to consider if you're thinking about a purchase. The range of the official Microsoft dongle is 7m, so it should suit most setups. Once your wireless adaptor is successfully plugged in and powered on (it needs a USB port for power as well as an HDMI slot), the connection process is the same as for the Roku: Go through the Action Center, or open up Settings and click System, Display, and Connect to a wireless display to establish the link. If your laptop and TV both have a spare HDMI port and you have an HDMI cable lying around too then you're laughing — connect one to the other and the second screen should be detected straight away. Both Windows and macOS are smart enough to give you the options of either mirroring your computer screen on the TV or extending your computer screen and using the TV as a second monitor (so you'll need to drag open windows over to it). 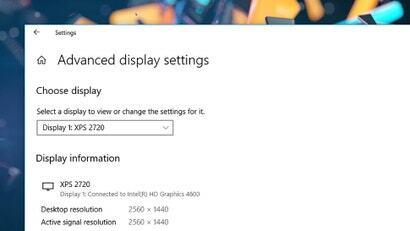 In Windows Settings, click System then Display to configure your second screen the way you want it. In System Preferences in macOS, you need to choose Displays. Many of the thin and light laptops have done away with HDMI ports, however, so you're going to need an adaptor to convert your laptop's video out port to HDMI (or whatever your TV accepts). It's great for movies and anything where latency needs to be kept low, but you do need all the necessary bits and pieces ahead of time. #8. A Steam Link. Unlike some of the previous suggestions, it can be used to stream anything shown on your PC's desktop to your television, not just media content.